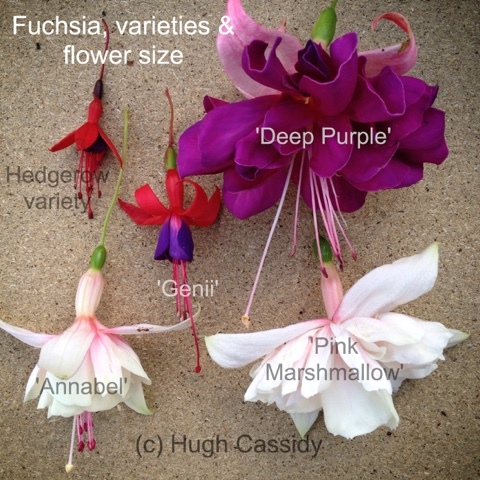 So, after my last Fuchsia blog, I'm finally getting around to showing some of the size differences in the Fuchsia flowers that are in the garden. In this photo you can see I've placed five flowers. The smallest is typical of the hedgerow type Fuchsia flower we come across, although I can't specifically confirm this variety as it was growing before I started my collecting. 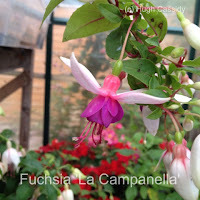 I can however confirm the names of the other Fuchsia varieties that you can see. And just look at the size of both the 'Pink Marshmallow' and 'Deep Purple'. These are both new to me this year, and are part of the aptly named 'Southern Belle' collection. 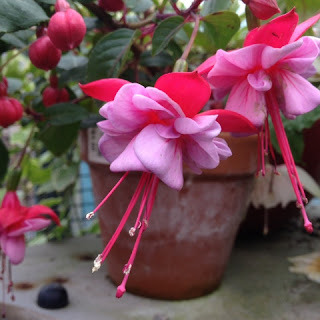 There are far more varieties in all shapes and sizes worth looking up. I've had 'Annabel' and 'Genii' for the past couple of years and continue to enjoy them. 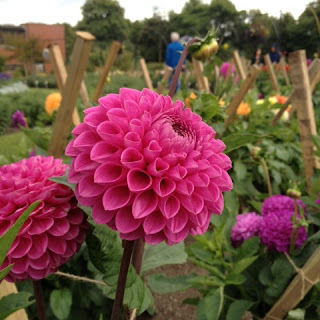 'Annabel' is an upright growing variety and very different to the two training varieties above. 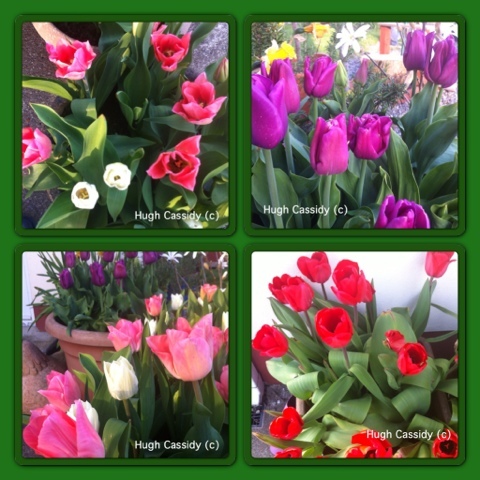 'Genii' is an upright grower too, and I find is completely hardy in my garden. I really should have left some of the soft gold foliage on the 'Genii' sample for you to see. Another time maybe. 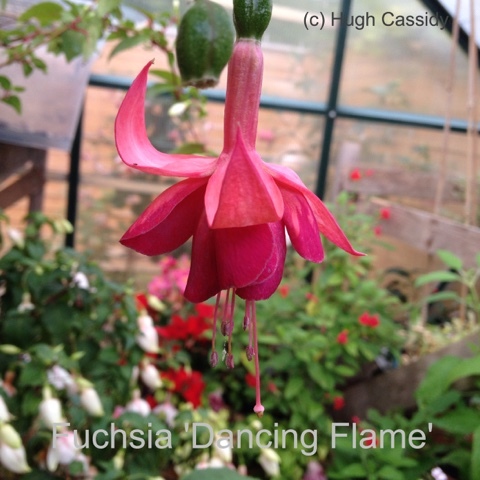 Theo, the site owner, photographer and writer, has a wealth of information on Fuchsia, among other things, and has steered me in the write direction on more than one occasion. I'll leave you with Fuchsia 'La Campenella', which translates for Italian as 'the bells', a lovely small flowering variety that has just come into flower after surviving a vine weevil attack earlier this year. That though, is a story for another day.